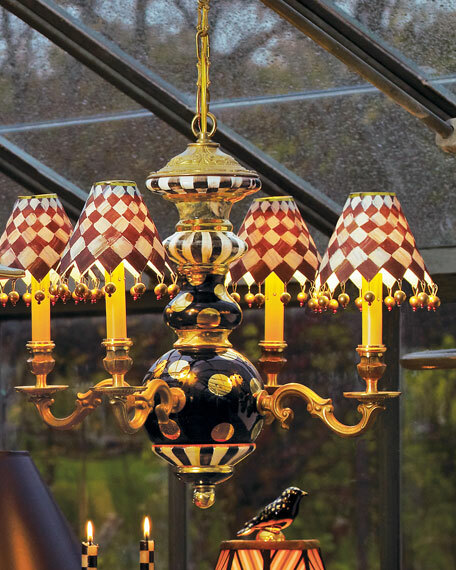 Handmade and hand-painted ceramic chandelier with courtly checks and courtly stripes detail. 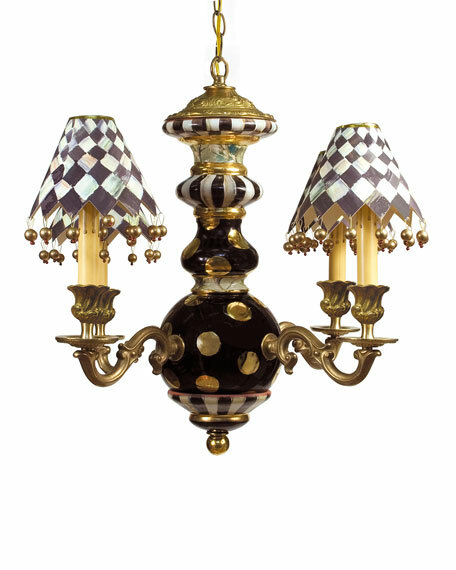 Faux-marble and gold luster embellishment with brass hardware. Canopy kit and direct wire installation instructions included. Uses four maximum 25-watt type-B candelabra bulbs (not included).